There is nothing like camping in the great outdoors during a holiday weekend, but going outside does not have to mean leaving certain amenities behind. Campers allow owners to bring a little bit of civilization with them, but the setup can be tiresome after a long journey. The Air Opus inflatable camper makes setup a breeze. 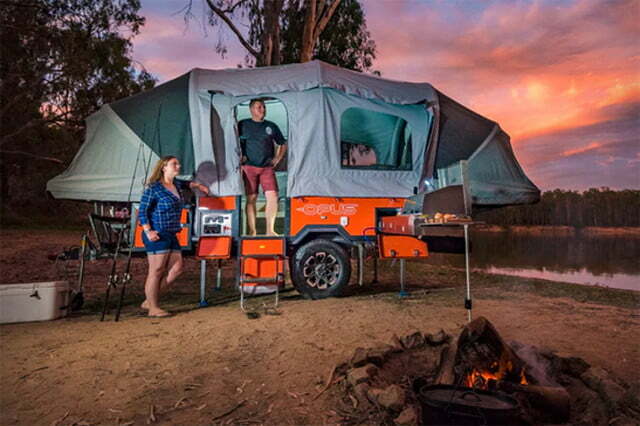 Using Air Pole technology, the Air Opus camper inflates its canopy in less than 90 seconds, leaving owners with more time to actually enjoy the campsite. 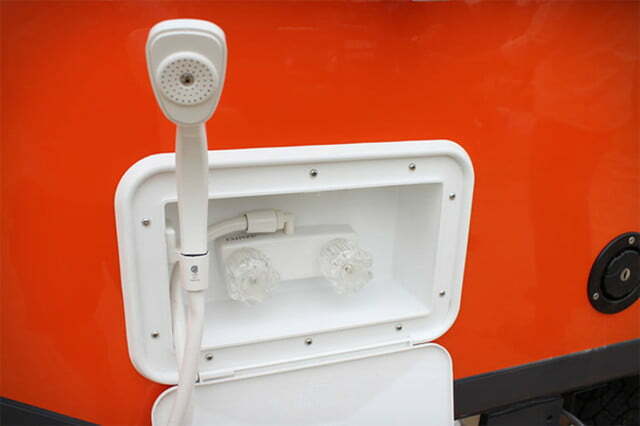 A small electric pump inside the camper activates with a simple flip of the switch. When it is time to go, deflating is just as easy. Releasing the air valves collapses the tent, leaving it ready to fold back up. 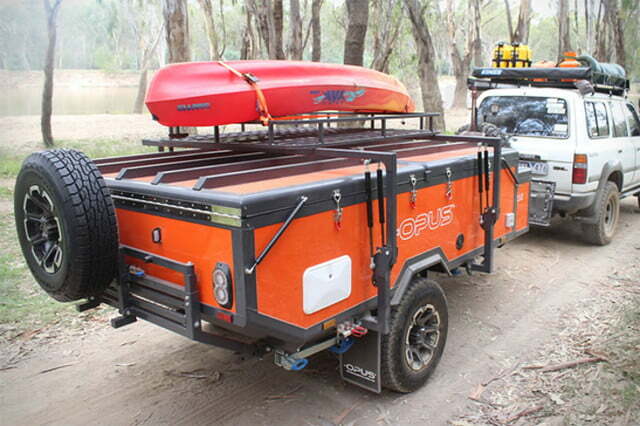 Aside from the inflatable tent, the Air Opus comes with all the bells and whistles of the standard Opus camper. It was designed to be lightweight at 1,577 pounds, easy to tow for even a small car. While lightweight, the construction is sturdy enough to carry bikes, canoes, kayaks, and more. Even with the added weight, sudden stops won’t be an issue. Electrical breaks ensure minimal force on the car. The interior is what makes Opus campers feel like a second home. 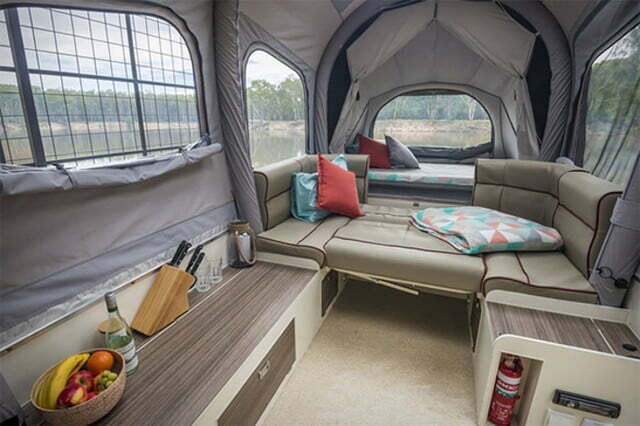 Features in the base model include two double mattresses, seating area with an additional double bed, table, stainless steel sink, dual hob gas stove, heating, lighting, storage space, windows, skylights, two USB charging ports, and a portable toilet. Upgrades vary by price but include a cinema system, carpet flooring, microwave, three-way refrigerator, air conditioning, awnings, and extension pods. 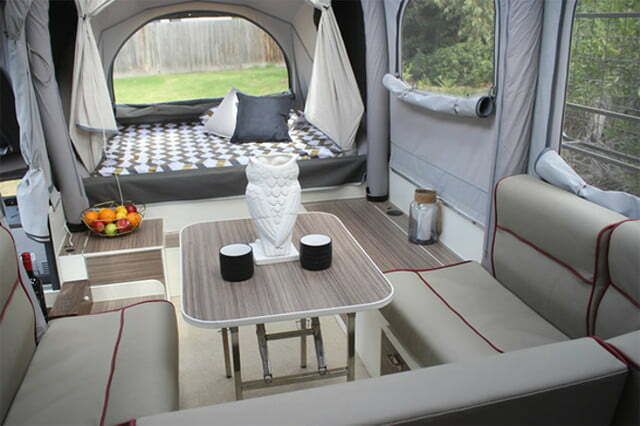 The Air Opus inflatable camper can be added as an upgrade to any Opus model for $2,499. Pre-orders are currently available with the collection expected to be ready later this summer. 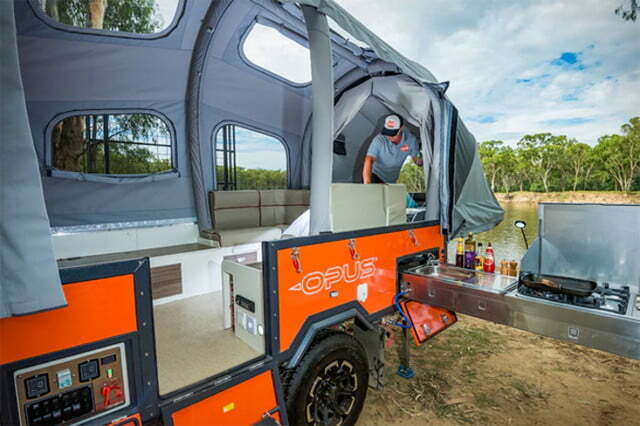 The base model for an Opus camper starts at $18,999. Those who are still on the edge are encouraged to use the Travel to Try option. For just $100 per night, campers can rent any Opus model from the facility in the San Francisco Bay Area for up to three nights. If the vacation was enough to sway a purchase, the company will deduct 100 percent of the travel costs and rental price and put it toward the purchase. 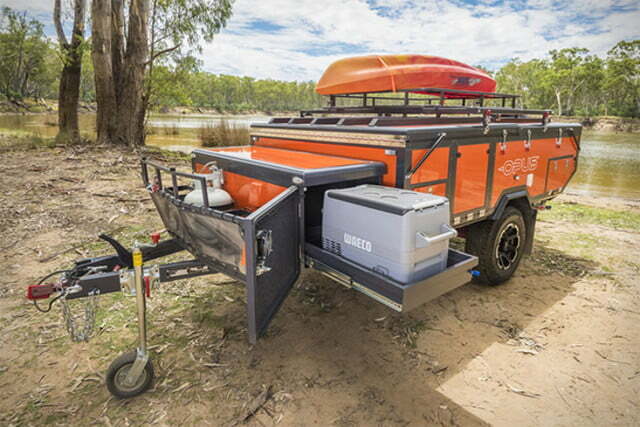 For more on camper innovation, be sure to check out the Digital Trends Outdoors section.